The Gayle King Talk Show - Is She a Good Fit for Urban Talk Radio? stations. Those stations are 900 AM WURD in Philadelphia and 1380 WAOK in Atlanta. 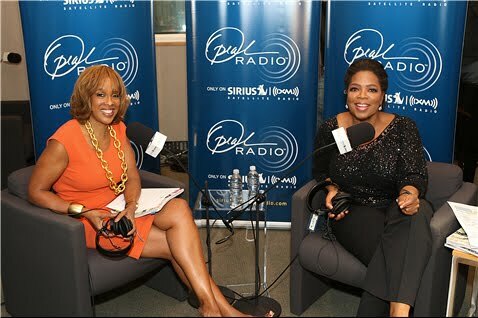 It may be a good financial move for both stations, with Gayle King being backed by Oprah Winfrey's star power. However those listeners who like Gayle haven't taken the time to add comments in a recent AJC blog post. But those that aren't particularly thrilled with the changes in Atlanta have made their voice known. I like Gayle in all but her talk show is very boring and so commercial like. 1380 was a breathe of fresh air from the commercialization. I liked the line up before with Lorraine Jaque White, Warren Ballentine, Al Sharpton, Derek Boseman. Gayle cut right into Warren B, wth???? I love listening to him, Gayle is just Blah.... you can tune into any show or radio show and hear the stuff Gayle talks about. Please put Warren B back on 1380 from 10-1 pleeease. Love you Gayle & Oprah but please dont use your power to suppress the voice of people like Warren, our community desperately needs to hear voices like his.